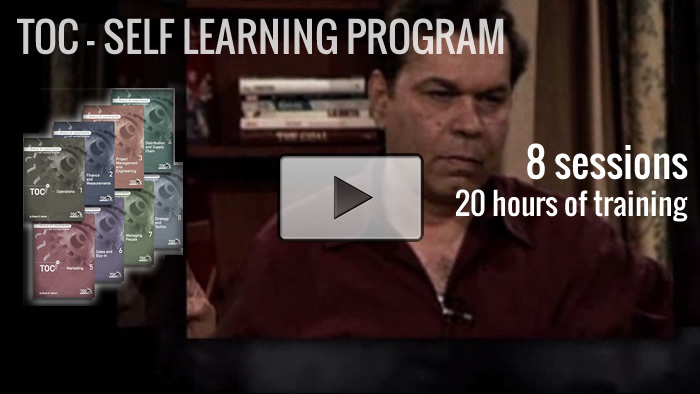 This 8-session educational series is taught by Dr. Eli Goldratt. He shares his life's work revealing what to change and what to change to in areas like operations, finance, project management, engineering, distribution logistics, measurements, marketing, sales, management skills, and strategy. 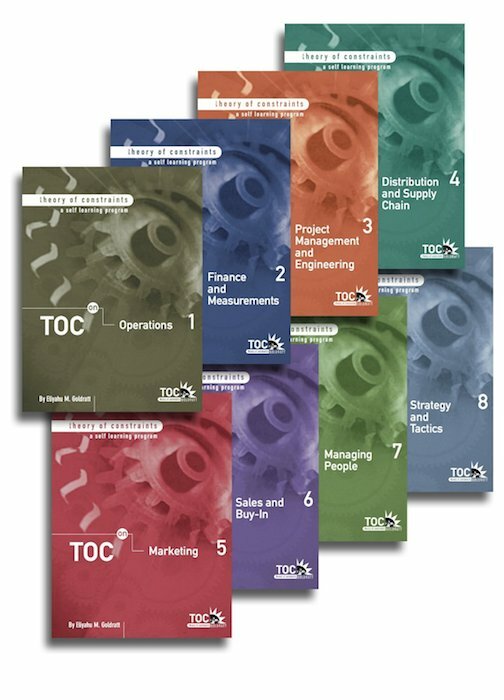 The complete series provides the most comprehensive and holistic perspective of TOC, by presenting the concepts & examples for all applications. Each session is divided in various video segments of about 10 minutes each and includes a downloadable working notebook, so that users can learn at their own speed and easily review any of the material, as they need! Note: The TOC Self Learning Program(s) license provides for use & viewing exclusively for the one person who registers the material. The license does not allow for multiple persons to use or view the program(s). For multiple viewers please consider purchasing the GSP Series for unlimited viewing. the TOC concepts and principles applied to various areas within an organization. an in-depth analysis and the corresponding TOC solution to significantly increase performance. learning at their own speed and easily review any of the material, as needed. having a comprehensive and holistic learning resource to add to their own library. 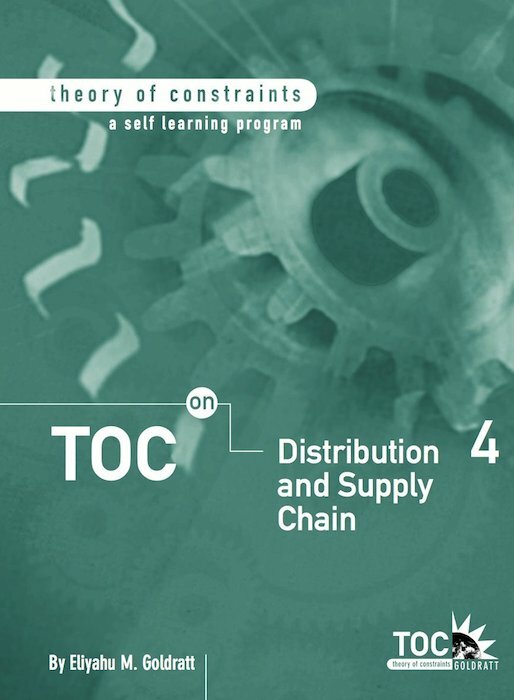 Learn the Theory of Constraints (TOC) applications of Drum-Buffer-Rope (the logistics) and Buffer Management (the control) to achieve short and reliable lead-times to customer orders, while revealing hidden production capacity without any additional investment. Learn the significant impact of using Throughput Accounting - the Theory of Constraints (TOC) solution for Finance and Measurements to focus on simple indicators. A self learning tool for individuals, that provides answers to the questions “what to change?” and “what to change to?” to significantly IMPROVE PERFORMANCE. Learn the Theory of Constraints (TOC) project management execution application of Critical Chain Project Management (CCPM) to complete (multi-) projects ahead of time, within the allotted budget and without compromising their content. Since every company is a link in a supply chain, most already realize that as long as the end consumer has not bought, nobody has sold. Learn the procedures and measurements to help the distribution link to drastically improve its performance. 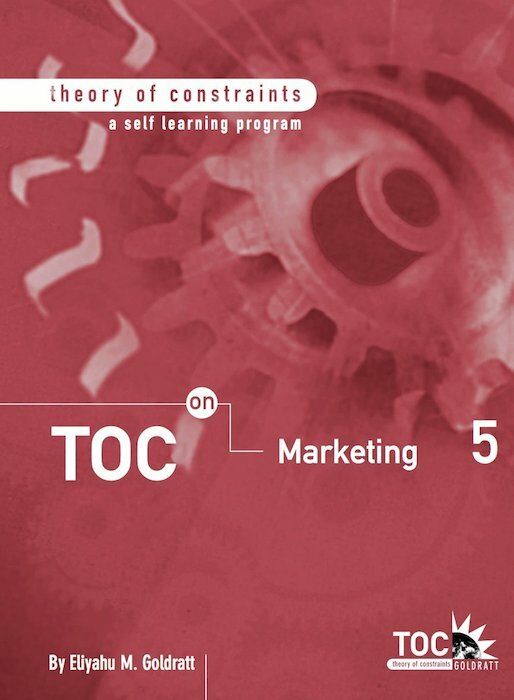 Learn, through several examples and clear concepts, the Theory of Constraints (TOC) concepts of market segmentation, market significant need, using cause and effect diagrams to identify and create a decisive competitive edge, as well as build an unrefusable offer. Learn how to carry out a practical step by step process to identify and overcome the various layers of resistance faced when selling, and handling reservations when presenting or being presented a product, offer, decision, suggestion or idea. Learn how to build the logical thinking diagrams called Evaporating Cloud, Negative Branch and Intermediate Objective Map. Using these tools, you are able to identify and resolve misalignment of authority and responsibility, properly scrutinize a suggestion or idea, and bring team members to agree on a viable roadmap to achieve ambitious targets. Learn the practical elements required for a process of ongoing improvement, ensuring that the organization is immunized from market fluctuations. This session offers a clear roadmap of the actions that need to be taken to achieve sustainable results, like market segmentation and using improved operations as a decisive competitive edge. Within 24 hours after your order is placed, you will receive a confirmation email with details to Download and Install your TOC Self Learning Program. Installing your TOC-SLPs requires Serial Numbers provided when the product was purchased. When formatting your hard drive, installing or upgrading the operating system, or exchanging the computer, ALWAYS make sure to UNINSTALL the TOC Self Learning Programs first, or else additional installation charges may apply. To access the TOC-SLP using the CD-ROM, you must install them first. Please download the Install-Uninstall program to install or uninstall your TOC-SLP. Please remember that for your benefit, you have up to two chances to install the TOC-SLP and that the program is for personal use ONLY. Also, every time you uninstall the program, your records will be updated and an installation chance will be added. IMPORTANT : Before formatting the hard drive, installing or upgrading the operating system, or exchanging the computer, ALWAYS UNINSTALL the TOC-SLP first, or else additional installation charges may apply. NOTE: This is NOT the TOC-SLP itself. This application is for installing or uninstalling your TOC-SLPs only. The TOC Self Learning Program(s) license provides for use & viewing exclusively for the one person who registers the material. The license does not allow for multiple persons to use or view the program(s). For multiple viewers please consider purchasing the GSP Series for unlimited viewing.